When you want to get on the clean eating train, stay fit, and be healthy, but snacking and constant cravings keep holding you back. Controlling cravings through mindful strategy might be just the piece to help you break free, once and for all. We all have them – sometimes from time to time, other times consistently. Cravings can be the straw that broke that camel’s back when it comes to eating healthy and staying on track. The constant pull to divulge in a particular food can either be managed, or wreak havoc on our plans to eat clean and thrive. But cravings are so much deeper than surface level. *Spoiler alert – it’s not about the food. It’s not about your willpower either. Over the past few years, I’ve noticed a few trends in how we talk about food. Bad for you food or good for you food, freedom with food, food fasting, intuitive eating, and the list goes on. You’d think as a healthy food and fitness blogger I’d have this stuff all figured out…NOPE. Cravings are still a big part of my life just like everyone else. In fact, I spent years trying to handle my cravings only to realize it wasn’t about limiting the foods I loved, it was about a strategy to handle. 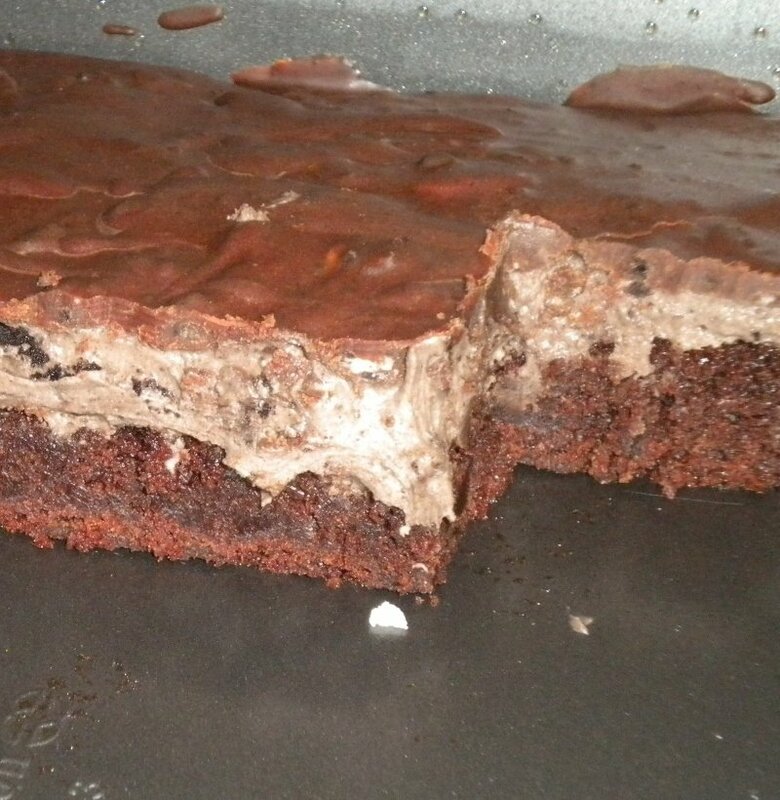 Years ago, I used to raid the kitchen a baked treat or mini Snickers bar after dinner. Actually, after every single meal. And it was never just one little mini Snickers, it was multiple Snickers one after the other. Or making the most decadent dessert decadent bars I’d found a recipe for on Pinterest and not even bothering to plate it, because I was the only one indulging every night. The sugar urge was strong and real. I spent YEARS trying to kick it. Sugar, sugar, sugar. The addiction was real! After I had kids something surprising happened: my cravings changed. I won’t discount chocolate as one of my love languages, that’s still very true! But for some reason what I craved even more were foods both salty and crunchy. I could (and still can) open a bag of tortilla chips and eat every single chip in one sitting. In times of stress, I’ve been known to go into ‘zombie’ mode and eat anything crunchy in site, without even thinking about it. 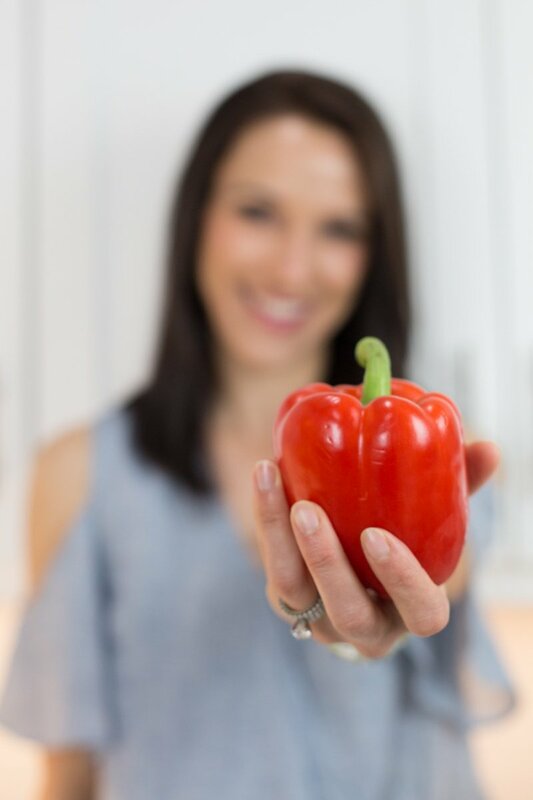 Nothing helped – no cold turkey approach, no alternative options, no Whole30 challenges or resets. It wasn’t until I started diving into my own mindset around the craving, that things slowly started to shift. I can control the sweets craving after a meal with a few conscious thought patterns and chosen mindfulness. I love teaching deep strategies for managing cravings in my membership site, Club Kitchness. Once we unlock the power of the mind to shift the urges, it just takes practice and consistency to stay on track! Below I’ll share a few top-level strategies for controlling cravings. 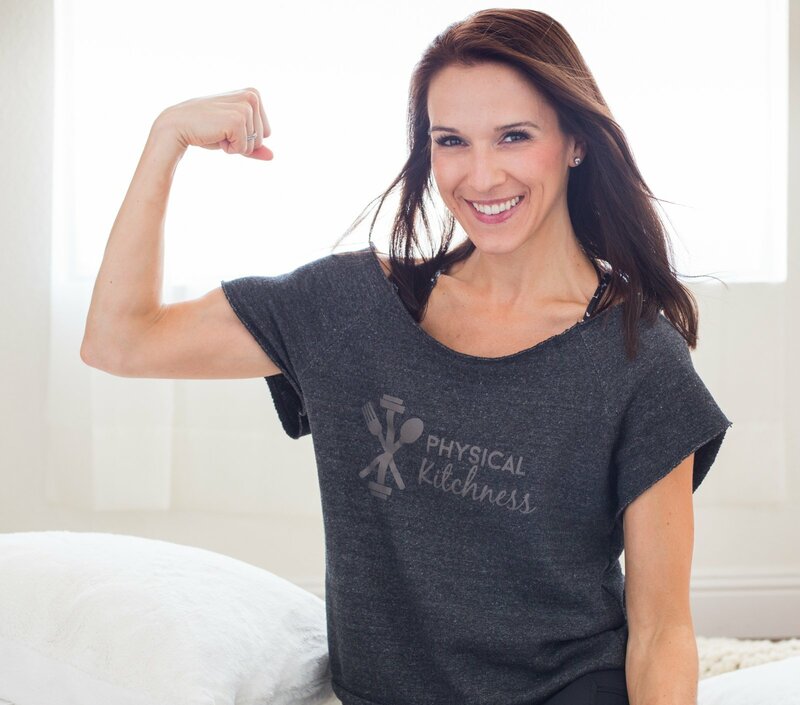 If you’d like more help keeping healthy living a priority, and how to better handle cravings, I invite you transform your life and take power in your healthy choice by joining Club Kitchness. Click here for more information. Before we dive into work controlling cravings, I should note one things. Cravings aren’t ‘BAD’, nor are they the enemy. Certain foods aren’t ‘BAD’ or the enemy either. It’s perfectly ok (and actually encouraged) to indulge in a craving once in awhile – you have to live your life for Pete’s sake! 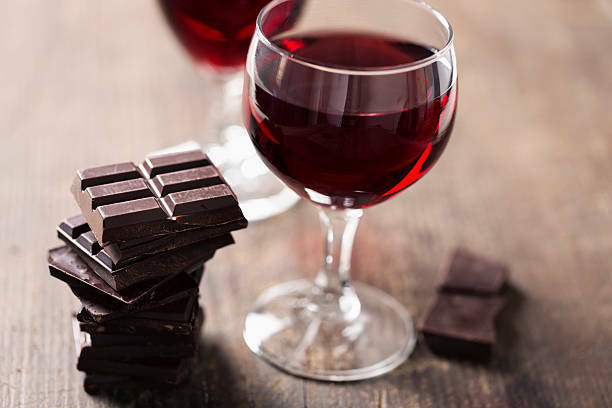 But when cravings turn into binges that turn into the constant urge you need to engage in a craving, that’s when these tips will really help keep you mindful and on track. 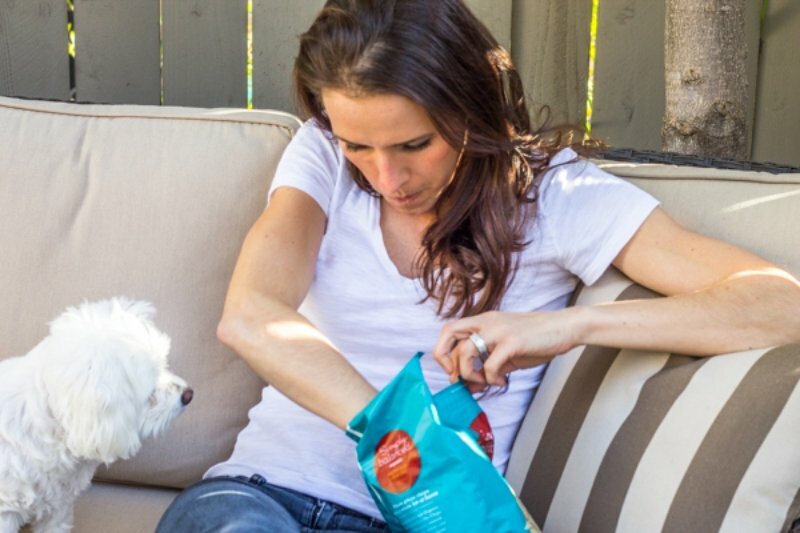 These are my 3 tips for controlling cravings. Cravings are rarely physical. If you can control the thoughts and mental drive around a craving and have a plan to handle it, you are much more likely to engage in craving management or have the mental strength to walk away completely. Yes, it’s a mental game. And just like any game, it takes skill, mental toughness, and strategy. You wouldn’t just show up playing in the Super Bowl without a game plan, or throw yourself in the arena of a bullfighting event without a strategy how to get out of there! So we do we push yourselves face-to-face with cravings without a goal or plan to succeed? Have you ever taken time to really think about what you will do when your biggest, juiciest, best craving hits? Or how you’ll handle a situation out with friends that tempts you to go completely off the rails? Without a plan, it’s very easy to let your mind go into autopilot and engage in the activity your reward-driven brain pushing you towards. Memories of sensory pleasures trigger the brain to release chemicals of satisfaction, which constantly makes us crave more. But if it starts in the brain, it must be controlled in the brain – one way is having a plan of what you will do next time your encountered with a craving. I use a framework called CHAOS in Club Kitchness, to help women really identify the root cause of the craving and steps on how to manage them through mindfulness. Brain work and attentive mindfulness is the first step. Have trigger foods that make it hard to control your intake? Know that date night dessert is going to push you off track all week long? You must first know your limits and be in control of what keeps you grounded in staying consistent. Don’t buy the chips if you know you’ll eat the whole bag…. Before you take a step forward to temp yourself with a craving, you first need to start knowing how you will handle the mental urges. Once you practice having the control over the craving, THAT is when the magic comes. This won’t come overnight (and may take years of practice), but once you have control, participating in a craving is easier when you are able to limit and eat/drink in moderation. Limits don’t have to be bad – limits mean control. And who doesn’t want to be able to have freedom in controlling their choices? Do not, I repeat, do not go on craving-indulgent auto pilot. This is the easiest thing to do, and the hardest to stop. If you take one small piece of this post and apply it to your life, let it be this: when you find yourself smack-dab in the middle of satisfying the craving, regain the power. How? You must stop the mindlessness and make yourself think. I have a very strategic outline for how to get cognitive in the moment a craving or mindless eating happens in Club Kitchness – we call it the MAP outline: mindfulness, affirmation, pattern interrupt. Simple cues to get off brain autopilot and positive, empowered thinking can help you break free and keep you focused on what you need to do to handle any craving. 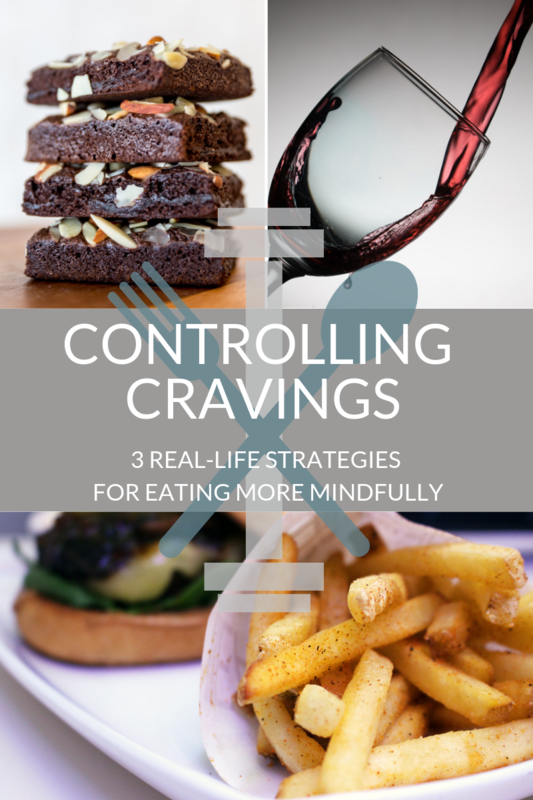 Working on these strategies are the first step towards managing cravings and leading a life of mindful eating. 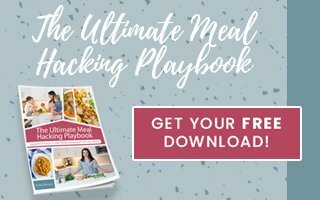 It starts with a plan and strategy, and eventually ends with a way to break free from constant cravings and a natural, habitual way to eat clean without stress. Knowing this managing cravings is a long-term approach will help you give yourself grace. It can be really easy to start off an intention with a bang, then self-sabotage when you fall off the wagon. Have you ever decided you’re going to give up sweets, then say ‘screw it’ to your plan when you had a bite of a donut the previous day? Think of mistakes as curve-balls, not failures. The most important thing to do is to simply start fresh with better (stronger) intention. Again, and again. Lots and lots of practice. 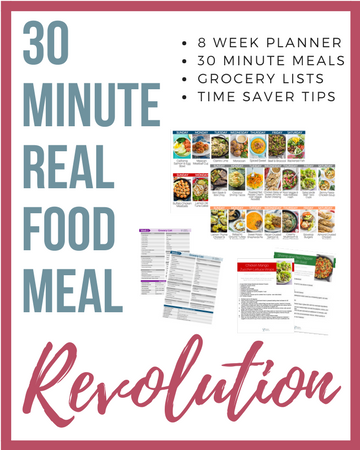 Many of the members in Club Kitchness work through these top-level strategies before we deep dive into on the spot strategies, more habitual mental shifts, and coaching to make craving management and easy part of everyday life! Do you struggle with cravings and need additional support? First, know you are NOT alone. Try these strategies and if you need additional help and support, there are resources to help! Click here to learn more.